Paint today is not the paint of two decades ago when exterior and interior paints were nearly interchangeable. Today, exterior paints are intended to withstand exposure to the weather and UV rays while interior paints are intended for withstanding abrasion and cleaning. 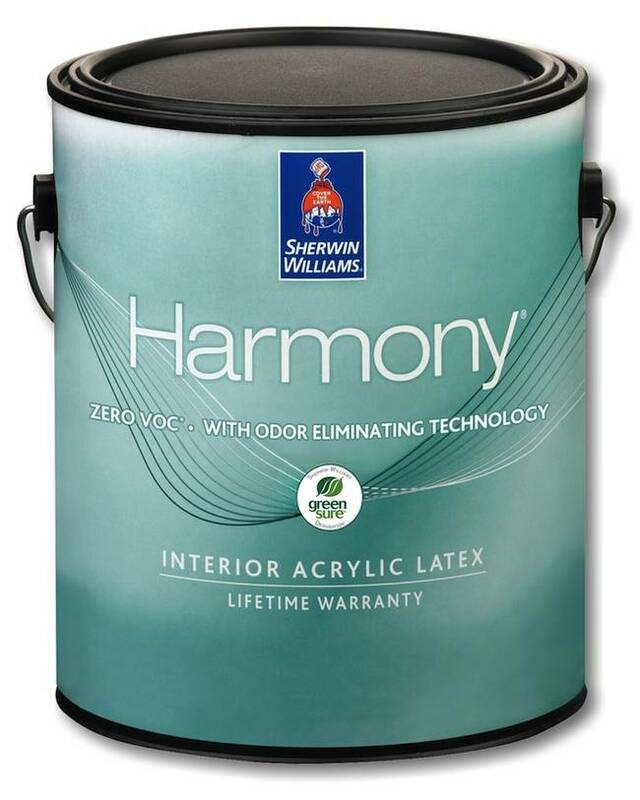 Additionally, the volume of VOC’s determines whether a paint should be used inside or out. High VOC paints should not be used indoors…ever. They are highly toxic and may release gas for years. Low or no-VOC paints are designed specifically for indoor use. When the paint is made, exterior and interior paints start out quite the same but it is the additives that make each one preferable for it’s intended application. Most paints are composed of three primary ingredients: the pigment, the binder, and the solvent. A variety of additives may also be used to improve the paint’s primary function. Pigments will determine the color of the paint and various pigments are mixed together to create any color imaginable. The type of pigment that is used will also determine its suitability for indoor or outdoor use. Pigments that are designed for interior use will not hold up outdoors and you’ll find that your perfect color will be fading long before it should. Because pigments are solids, like a powder, you can’t exactly roll them onto a surface. The binder’s job is to cause the pigments to adhere to one another and to adhere to the surface you are painting. A binder, also known as resin, is the primary ingredient that determines whether a paint is designed for interior or exterior use. Today, binders are predominantly made from synthetic plastics. They were formerly made from rubber which is how the label ‘latex paints’ originated. Your paint is now two-thirds of the way there but without a solvent, it’s going to be like painting syrup on a wall. The solvent, also known as a thinner, is responsible for dissolving the pigment and the binder into a thinner, less viscous paint that applies easily and evenly. The solvent is intended to evaporate after application. That horrible smell that may not dissipate for days is the solvent evaporating. Gloss paints use oil-based solvents (the horrible smell) and tend to be more opaque and thicker than water-based solvents. Once the solvent evaporates it leaves behind the pigment, binder, and additives. And all paint is made of those same basic ingredients. Oil-based solvents are made from chemicals extracted from petroleum products like naphtha. Are you old enough to remember mothballs? Remember the smell? Yes, that’s naphtha too. If you’ve ever opened a can of paint that has been sitting in the garage for a long time, you’ll probably see it has separated. The solvent will be the fairly clear liquid on top and the binder and pigment will be the thick sludge underneath. That’s why paint has to be shaken or stirred very well. Now that you have your basic paint, additives are used to make the paint more functional for specific purposes such as exterior and interior use. Additives can be used to improve a paint’s strength or durability. Additives can make a paint waterproof or rustproof or protect against the sun’s UV rays. Additives can be used to inhibit mold or mildew and improve drying time. The differences in exterior and interior paints come down to the differences in the binders (resins) and additives. Both oil-based and water-based latex paint is used outdoors. Oil-based paint resists dirt better but latex paint is considered by some to be more durable. It is not a good idea to use oil-based paint indoors due to the toxicity of the solvents, the time to dissipate and the associated odor. 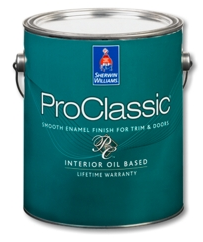 Interior latex paints are designed to hold up to scrapes, scratches, scuffs and cleaning chemicals. Wiping down your children’s creative talents can be hard on a paint that hasn’t been designed to withstand normal household cleaners. Both exterior and interior paints come in the two most common bases for paint which are oil-based and water-based. Generally, interior paints are water-based (and safer to your health) while exterior paints are oil-based (for durability). Oil-based paints are difficult to clean and their odor makes them not suitable for indoor use. However, you can use latex (water-based) paint outdoors if it is a latex paint that is intended for outdoor use. There is a reason why paints are labeled interior and exterior. Exterior paints are not safe indoors and interior paints are not meant to hold up to your home’s outside conditions which can range from simple humidity to salty breezes to a beating desert sun to alpine winters to daily rain. Use the right paint for the right project just like the pros do. In fact, to get the very best results, before you paint consider contacting your local, trusted professional painter to see what they recommend.